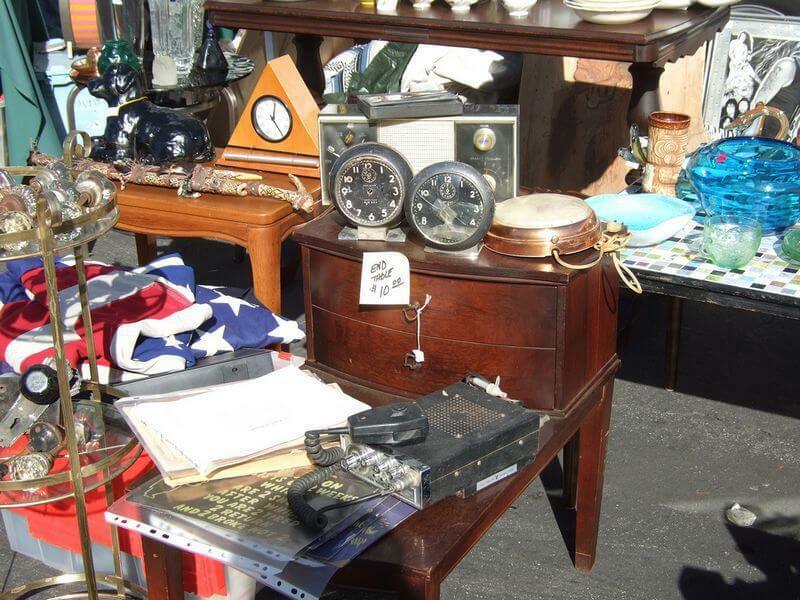 West Michigan Family Stores/Grand Rapids ARC - What's Vintage, Classic, Antique, and Retro? What’s Vintage, Classic, Antique, and Retro? Ah, the joys of aging. Those jarring little moments in life when you learn that what (seems like) recent history for you is ancient history for others. When an iTunes "Golden Oldies" playlist includes a song you thought was still relatively hip. Everything you buy for the home — furniture, rugs, lighting, artwork — can be plotted on an historical timeline and affixed with labels like "contemporary", "antique”, “classic”, "vintage" or "retro". An item's age is a key determinant of its value, considered alongside its condition, quality, and relative rarity. And the age of an item is evaluated not only in terms of its actual date of origin but also in the context of contemporary fashions and socioeconomic trends. For example, in lean economic times there may be nostalgia for decades associated with comfort and stability. Antique. Something that is, like, really old. Probably musty, dusty and moldy. Probably made of wood. Usually unstylish. Classic. Something that is old and looks in great design. Probably trending in its time and still has a trendiness in today’s economy. Vintage. Something that is too old to be considered "used" but not as old as Grandma. By calling it "vintage" the seller tries to distract the buyer from the item's blatant imperfections. Like many "retro" items, "vintage" items are often either mid-century modern (in style if not in fact) or related to bygone pop culture, junk food or fashion trends. Retro. Something that is basically outdated and out of style. By calling it "retro" the seller hopes to assign sentimental or historical value to something that is simply no longer cool. Or, the "retro" item may actually be quite new but is "preloved" (i.e., pretty beat up). But if common parlance is unreliable and inaccurate, what are the official definitions of antique, vintage and retro? According to Merriam Webster, an antique is "a relic or object of ancient times" or "a work of art, piece of furniture, or decorative object made at an earlier period and according to various customs laws at least 100 years ago." Ruby Lane, an online marketplace of independent antique and collectible shops, offers a similar definition, explaining, "Most authorities consider the actual definition of the term 'antique' to mean an age of at least 100 years. If an item is not definitively datable to 100 or more years in age, it should not be directly referred to as an antique." Classic in most commonly used to define cars, but let try to define in for everyday household items. According to Dictionary.com, A classic is an outstanding example of a particular style; something of lasting worth or with a timeless quality; of the first or highest quality, class, or rank. Most dealer agree that a classic is an item over 20 years old with a high value or demand when first introduces to the market and still hold the same value or demand to date. The Grapes of Wrath by John Steinbeck from 1939 would be considered a classic because it started with a high value and still hold value and demand today, but a pair of bell bottom jean would not be a classic, as the value and/or demand has dropped through the years. If antiques are things that are 100 years old or older, what are vintage pieces? The definition of vintage is trickier. According to Merriam Webster, the term vintage relates primarily to wine and is an altered form of the French word vendage, meaning "the grapes picked during a season." One of its secondary definitions is "a period of origin or manufacture" (e.g., a vintage 1960s Mercedes) or "length of existence: age." Ruby Lane provides a much more helpful explanation, noting that "an item described as 'vintage' should speak of the era in which it was produced. Vintage can mean an item is of a certain period of time, as in "vintage 1950's" but it can also mean (and probably always should) that the item exhibits the best of a certain quality, or qualities, associated with or belonging to that specific era. In other words, for the term vintage to accurately apply to it, an item should be somewhat representational and recognizable as belonging to the era in which it was made." Ruby Lane also suggests that 'vintage' should not be used in reference to objects less than 20 years old. According to Merriam Webster, retro is "relating to, reviving, or being the styles and especially the fashions of the past: fashionably nostalgic or old-fashioned." Retro furniture may not actually be old but it references styles of the recent past. Retro can also mean something that is not very old but is old enough to be more than just "so last season". (i.e., the woman wearing the early 80s high-wasted jeans because she hasn't updated her wardrobe since the Reagan Administration is not retro. She is just outdated.) I must admit that I’m still not entirely clear on the difference between retro and vintage, there seems to be some overlap. For whatever reason, "retro" makes me think of mod, geometric shapes and "vintage" conjures up images of faded, floral fabrics. But that's just me! How do you define these words? What comes to mind when you hear "antique", "vintage", “classic” or "retro"?